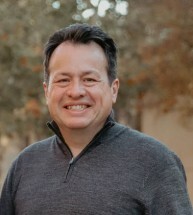 Daniel Vela was born and raised in San Antonio, Texas. He graduated from Burbank High School and attended St. Mary's University in San Antonio, Texas. While at St. Mary's, he played the trumpet in the University band. Mr. Vela was on the Dean's List and received a Bachelor of Business Administration degree in Finance. In addition, while going to undergraduate school, he worked at United Services Automobile Association (USAA), as an insurance adjuster. Mr. Vela worked in the evenings while attending college during the day. In 1995, Mr. Vela continued his education at St. Mary's University School of Law. During law school, Mr. Vela interned at the Bexar County District Attorney's Office, participating in felony trials. After graduating from law school in 1998, Mr. Vela was hired by the District Attorney's Office, where he gained valuable trial experience in cases ranging from Driving While Intoxicated to Murders. His last position at the District Attorney's Office was as a Felony Prosecutor in the White Collar Trial Division. In 2003, Mr. Vela left the District Attorney's Office and opened his private practice where he focused primarily on Criminal Defense, Family Law, and Personal Injury Law. In 2005, Daniel Vela and Gladys Del Fierro formed the law firm, Vela & Del Fierro, PLLC, where he has been a managing partner to date. The firm focuses primarily on Family Law, State Criminal Defense (including Bail Bond assistance for clients), Federal Criminal Defense and Personal Injury. Mr. Vela was featured on Fox 29 News to provide his expert opinion on Federal Mandatory Minimum Sentences. Mr. Vela is currently licensed to practice law by the State Bar of Texas, the United States Western District, the United States Southern District and the United States Fifth Circuit Court of Appeals. He is also a member of the Texas Criminal Defense Lawyers Association and the San Antonio Criminal Defense Lawyers Association.